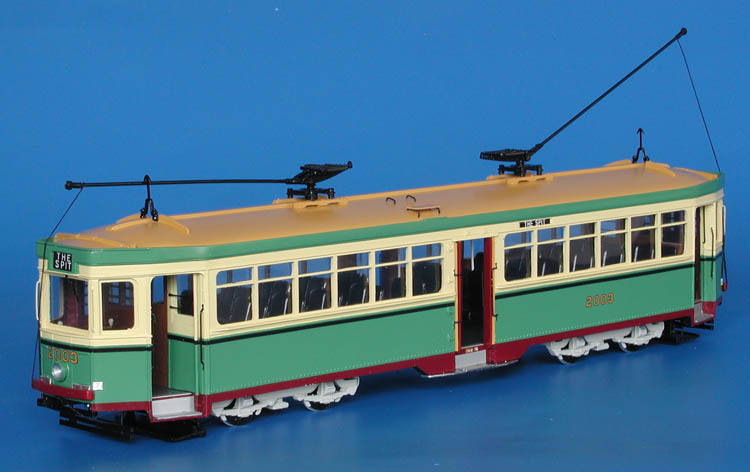 Model 1950/53 sydney commonwealth engineering co. r1-class tram (1988-2087 series). 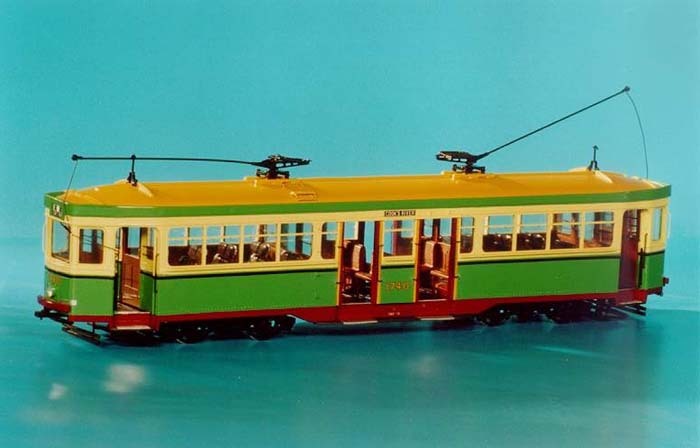 Post-war Sydney's R1-class trams were built by Commonwealth Engineering Co. and were delivered between September 1950 and September 1953. Initially, the order was placed for 250 cars but last 150 cars were cancelled after many parts were delivered. Post-war cars differed from pre-war R1s in the minor details, the most noticeable was design of the motorman's window. Post-war R1s were assigned to different depots, serving Sydney and north Sydney workings. 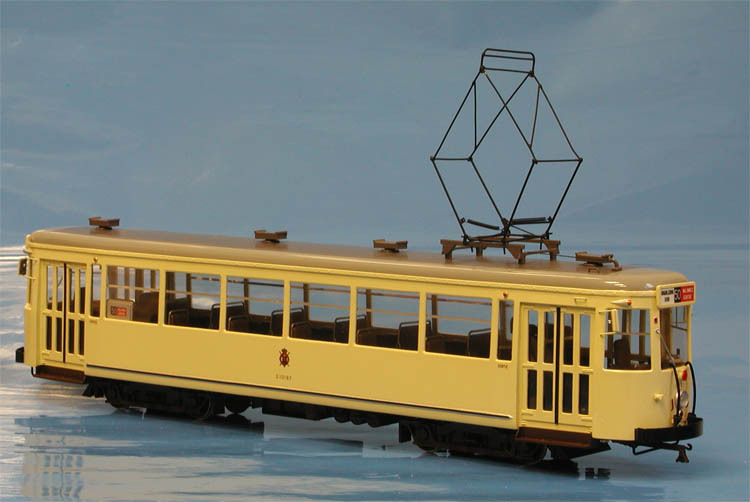 This batch of 100 cars enabled withdrawal of N, LP and K-type cars. Car 2018 was most unhappy member of the class: it was very badly damaged by fire on it's first day in traffic in May 1952 (it hit a tanker) and was subsequently scrapped after a service life of only 5 1/2 hours. 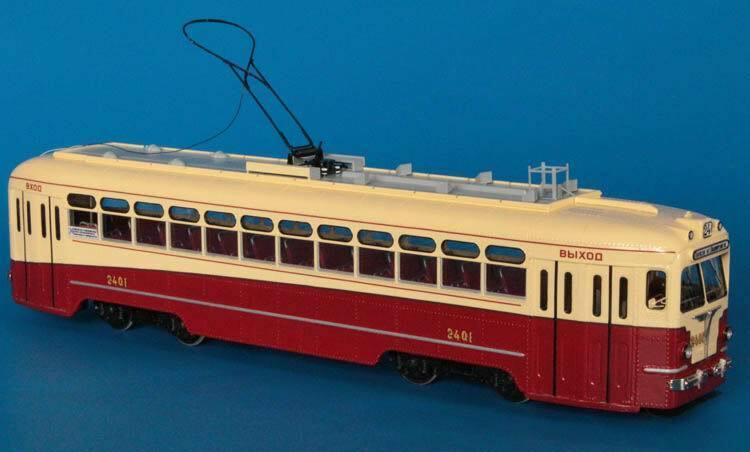 The workshops manager wanted to rebuild the car and import a set of PCC trucks like Melbourne had done with 980. The only body difference was to have been the upper window sash, these fixed windows were to be replaced by rubber mounted windows just to make the car look different. He never received approval and the car was scrapped (information via Greg King). 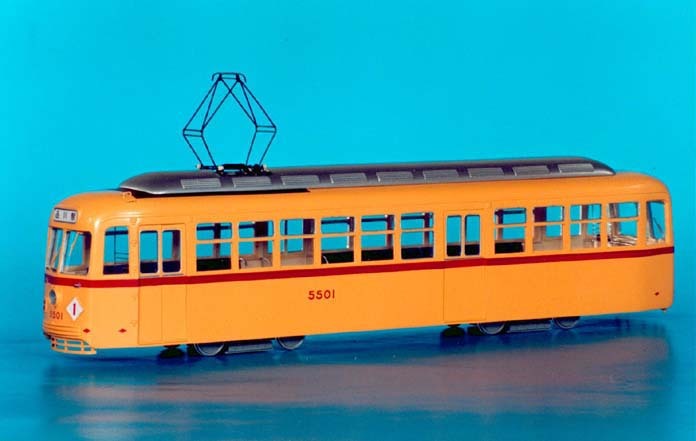 Last Sydney tram on 25th February 1961 was R1-class car 1995. 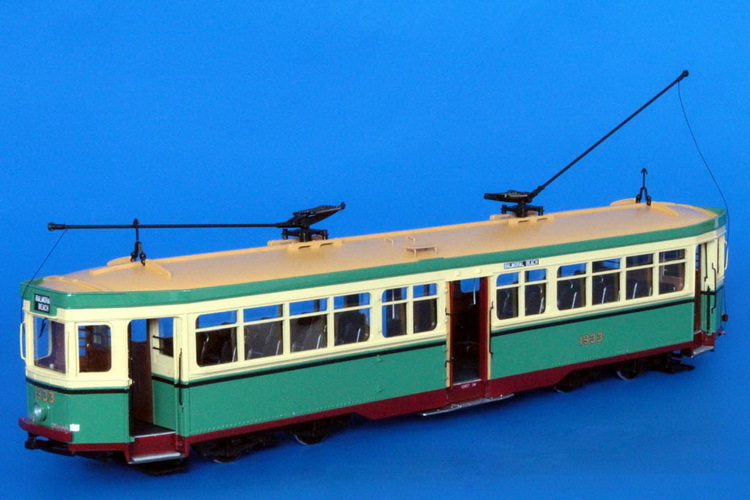 Car 2044 from post-war series is preserved at the Sydney Tramway Museum. 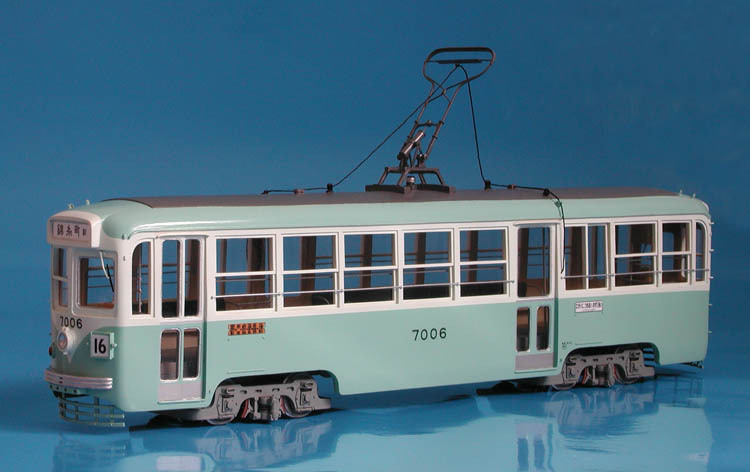 1948/54 Moscow MTW-82 Tram (1242-1399; 2250-2408 series) - original livery.